Nik Turner, member of the great Hawkwind, is readying the release of a new disc with Space Gypsy, featuring members of his former band as well as Gong, UK SUBS, DIE KRUPPS, Chelsea and more. The release features the tracks “Time Crypt” and “Fallen Angel STS-51-L,” both of which are available in video form below. The release comes packaged with a set of North American dates as well, including a pair of stops at Saint Vitus on November 3 & 4 with openers Naam and Hedersleben. The focus will be on classic Hawkwind material and tickets are on sale for both Nov 3 and Nov 4. UPDATE: The 11/4 Saint Vitus show is no longer happening. This make TWO different Hawkwind-related tours coming through NYC this fall, with the second being Hawkwind’s (or what’s left of them) performance of Warrior on the Edge of Time at Gramercy Theater on October 13 with Perhaps (tickets). 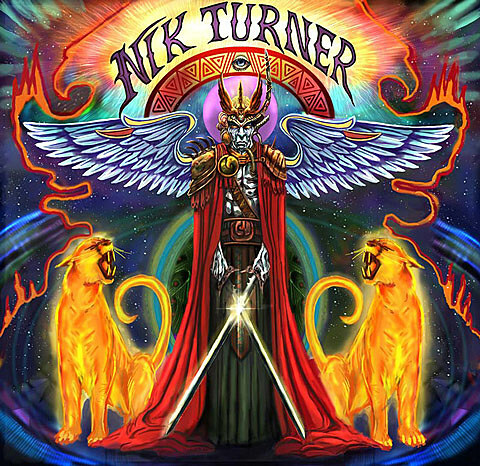 All Nik Turner dates are listed, along with the song streams, below.